TEMPLE, Texas, March 3, 2016	(Newswire.com) - Gold Key Technology Solutions, a managed IT services provider that delivers enterprise-level technology services and management to small businesses in a variety of industries, announced today it has received the CompTIA Managed Services Trustmark™, a respected industry credential that signifies its adherence to best practices for technology service delivery and customer interaction. 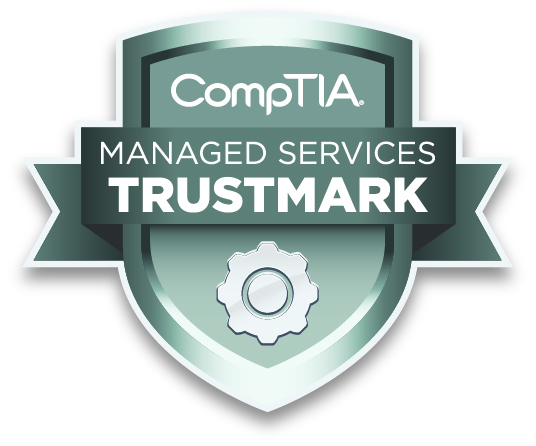 To earn the CompTIA Managed Services Trustmark, Gold Key was evaluated on several aspects of their business operations, including organizational structure, technology tools and systems they utilize, standard operating procedures and IT service specific activities. The company also committed to abiding by a code of conduct and provided customer references. Gold Key Technology Solutions is a managed IT service provider that delivers enterprise-level technology services and management to small businesses throughout Central Texas and the Brazos Valley. Being a cloud computing and cloud management solutions provider, Gold Key also offers customized IT services for both large and small projects to businesses competing in the education, insurance, non-profit, medical, healthcare, legal, financial, accounting, manufacturing, advertising, media, real estate and engineering industries. The company takes a proactive approach to servicing the business technology needs of its clients. This approach allows all of the systems it manages to experience far more uptime than with traditional technology services. That success is built on Gold Key’s use of remote management tools that constantly monitor the health and well-being of their clients’ technology environments. For more information about Gold Key and its IT services and cloud management solutions, visit the company at goldkeytechnology.com. To learn more now, call 254.774.9035 in Temple, Texas, and 979.446.5937 in Bryan, Texas. To get the latest industry news and trends, go to goldkeytechnology.com/blog-2/. CompTIA is the voice of the world’s information technology (IT) industry. Its members are the companies at the forefront of innovation and the professionals responsible for maximizing the benefits organizations receive from their investments in technology. CompTIA is dedicated to advancing industry growth through its educational programs, market research, networking events, professional certifications and public policy advocacy. Visit www.comptia.org/home.aspx or follow CompTIA at facebook.com/CompTIA and twitter.com/comptia.